As teammates of the America’s Cup sailor killed Thursday during a training run cancel practice to mourn his loss, a colleague sailor explains how differences in the catamarans have significantly increased the danger of the high-speed race on water. 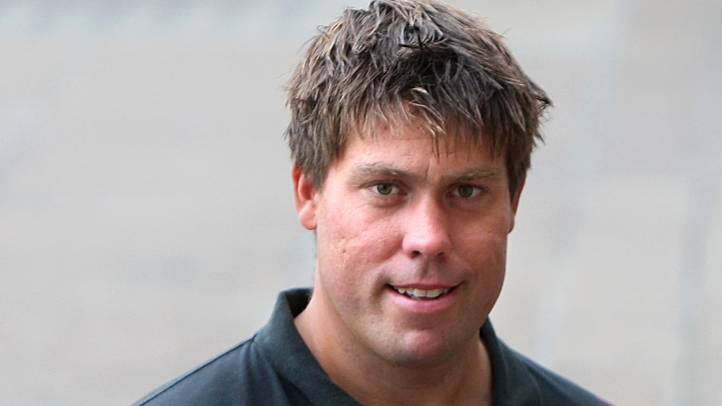 Andrew "Bart" Simpson was trapped underwater for 10 minutes when the Artemis Team’s catamaran capsized during a training run on San Francisco Bay. America's Cup sailor Annie Gardner says the newly-designed vessel called AC72 is meant to push the limits and draw in new fans. “This new America's Cup is a lot more like car racing than anything else we've ever done,” Gardner told sister station NBC San Diego. Instead of going the usual 15 knots, this model goes 45 knots and can actually hydroplane. “Some of the teams have implemented a lot of safety measures including having air tanks on them so that if they do crash, you're going to have supplemental air,” Gardner said adding that she wasn’t aware if the Artemis team had that. 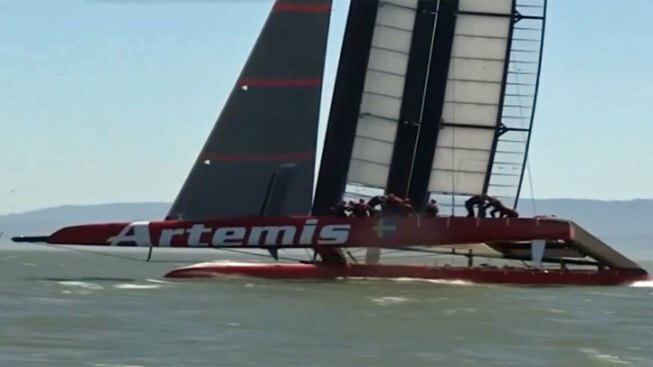 Artemis Racing said it did have doctors "afloat" with the team and on shore but they were unable to revive Simpson after he was freed from the wreckage. Yacht race photographer and America’s Cup fanatic said the technology has drastically changed the design. “They're kind of like space ships for the technology, but when it comes down to it you just have human beings hanging on trying to operate them,” Dennis St. Onge said. Officials said winds were blowing between 15 and 20 knots (17 to 23 mph) when the boat capsized. 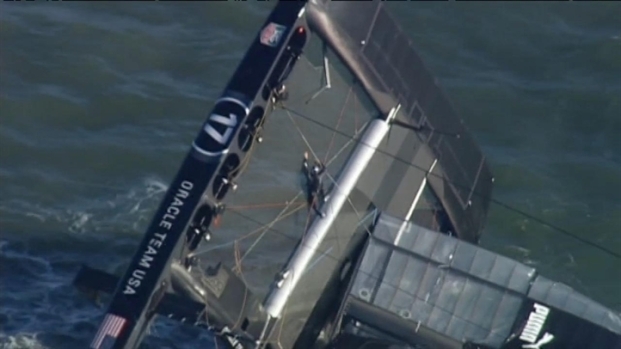 This wasn't the first America's Cup boat to capsize on the hard-blowing San Francisco Bay. Oracle's $10 million boat capsized in 25-knot winds in October, and strong tides swept it four miles past the Golden Gate Bridge. No one was injured, but the rough waters destroyed the 131-foot wing sail, and the boat was sidelined until a new sail shipped from New Zealand was installed in February. Stephen Barclay, CEO of the America's Cup Event Authority, said officials were investigating Thursday's accident. He said it was unclear what effect the death will have on the America' Cup races, which are scheduled to run from July to September. Simpson, 36, served as the Swedish team's strategist. He leaves behind a wife and baby.